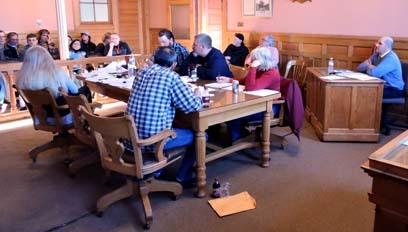 ONTONAGON — The Village Council on Monday unveiled an eight-page policy document regarding requests made under the Freedom of Information Act (FOIA) and what it will take to submit requests and receive public information. It was the new FOIA policy resident Tom Hamilton addressed during the public comment session. Hamilton has made five FOIA requests to the village. There is a cost for anyone who files a FOIA request. 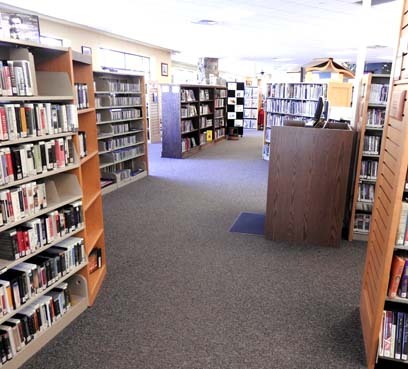 According to the policy the fees are to cover the labor costs incurred by the FOIA coordinator Kori Weisinger, along with paper and copy fees. Hamilton stated he is not upset with the office’s help, but the council needs to get others to help with the requests. While Hamilton stated he has not received all the information he requested, he is willing to give the village the time it takes to get the information. The other individual on record of filling FOIA requests is Sue Lockhart. When Lockhart stated she also wants to comment on a FOIA request, Council President Ken Waldrop asked her to give her name. Lockhart said she would “pass” on giving her name. “Then you won’t speak then,” Waldrop said. Later in the meeting, Norm Pestka, who did not have to identify himself to speak, he has experience dealing with the proper removal and disposal of possible hazardous waste of the former Captain’s Restaurant. The village has received a $50,000 grant for its demolition. Village manager Joe Erickson said hoped to have it done by the Labor Day Festival. Pestka stated he is willing to help with the demolition without charging the village. Erickson read a press release from Michigan Land Bank stating nine communities will receive a total of $350,000 to help eliminate blight. Erickson thanked a representative from Ontonagon Township for working with the village on the grant and the demolition project. In his report, Erickson stated while the Michigan Municipal League has come out in support of the governor’s fuel tax increase, the new gas tax proposal would only impact three village streets. “Most of the funds going for state highways,” he said. “A majority of the streets in the village are designated local streets, and they receive the least amount of funding under the current formula.” Erickson then stated under the current formula the village would not receive any additional funding under the proposed formula. Erickson and the council went over the process to advertise for a building inspector, along with the credentials the inspector will need. Council Member Tony Smydra and the Personal Committee got the council to agree on a compensation package, which was not announced. Smydra, along with Erickson, Waldrop and Don Chastain, attended a Capital Conference meeting in Lansing. The cost of transportation, lodging, and other expenses was requested by the Daily Mining Gazette but the council declined to reveal the amount. Erickson commended state Sen. Ed McBroom for introducing him to the state senator that got the bill passed to provide the funding for the demolition project, such as the one for Captains Restaurant. The council heard from Erickson on the new Michigan Department of Environmental Quality (MDEQ) lead and copper rules when it comes to household and village water transmission. MDEQ is also enforcing the partial lead service line replacement ban. “This means that during the course of construction, any water service lines that do not meet the new standards must be replaced at the expense of the water system,” he said.